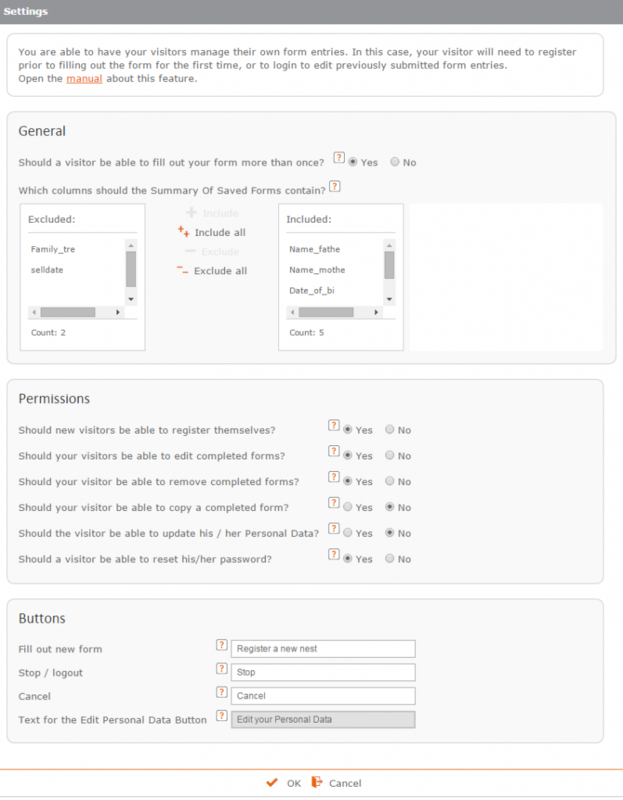 You can let visitors manage their own form entries. A visitor then has to log in or register before completing a form. Technically speaking this feature allows visitors to maintain their own record(s) in your database of result entries. A form that uses this feature, is called a login form. 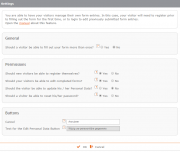 When your site has multiple login forms, the visitor will be able to log in to all of these forms. A visitor is thus essentially registered at account level. You can enable registered users to complete a certain login form multiple times. 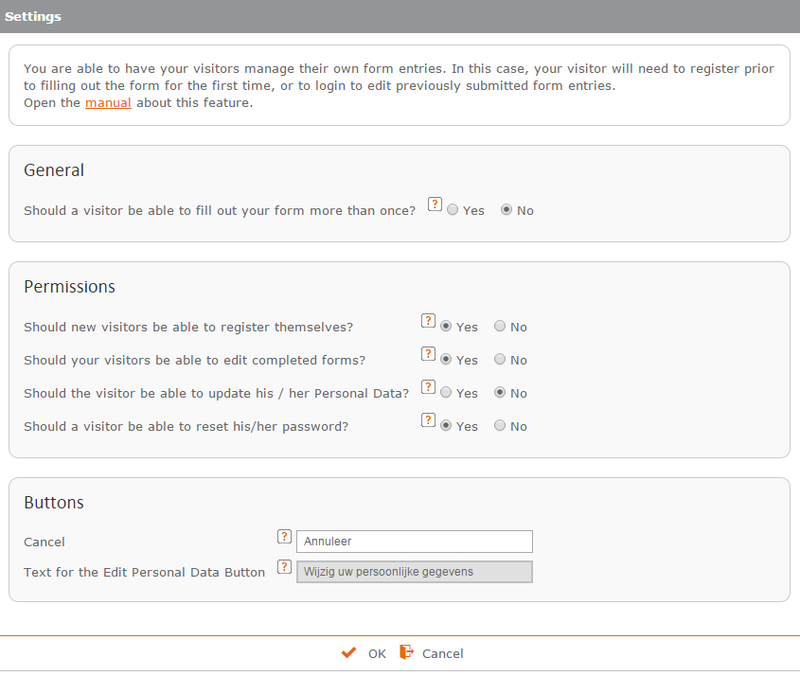 After logging in, the user first receives an overview of his or her form input. 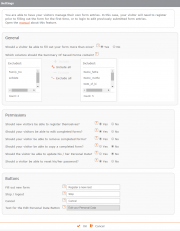 Using this overview, the visitor can edit or delete existing forms or create new ones. You can allow visitors to store their entries so they can finish them later. To finish the form, all the user has to do is log back in. You can import visitor data from an Excel file. It is also possible to have certain visitor data pre-entered after the visitor has logged in. By disabling the register option, you can prevent users from completing your form if their data has not been imported. In case the visitor has chosen his / her own password, this will be encrypted as one-way hashing and can never be made visible to you. The minimum required password strength of visitors is adjustable in length and categories. 2 Factor authentication can be applied (SMS verification, email verification, soft token or IP).